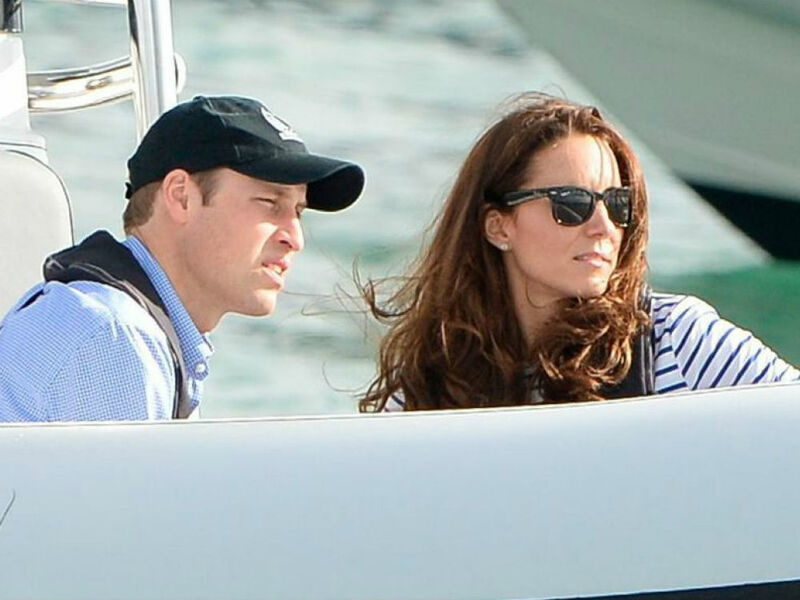 Kate Middleton can add expert sailor to her list of impressive talents. 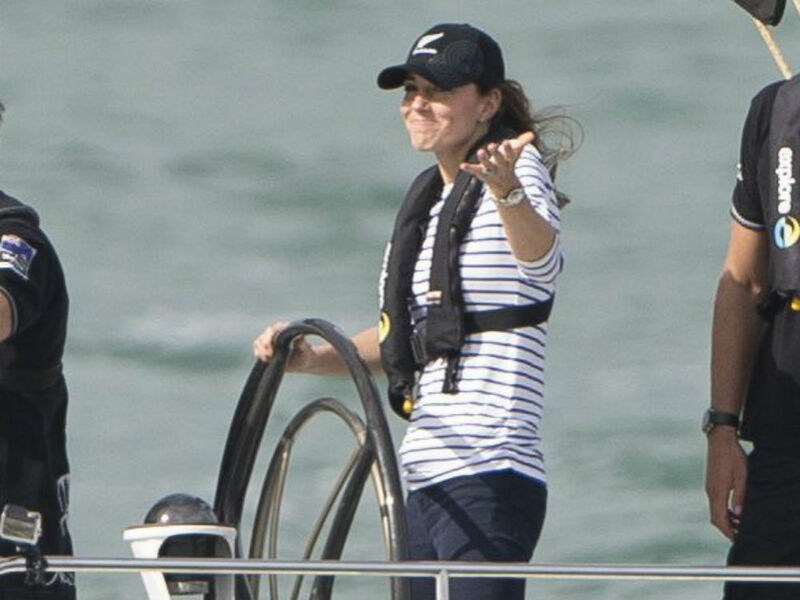 The Duke and Duchess of Cambridge, who are on the New Zealand leg of their royal tour, competed against each other in a sailing race at the Auckland Harbor in New Zealand this morning – and Kate certainly wasn’t going easy on her husband. Dressed in a blue-and-white striped tee by Me+Em and smart dark-wash jeans, Kate confidently took the wheel of a an Emirates Team New Zealand Americas Cup yacht. She beat Prince William, who was operating a second boat, in not one but two separate races. Once again, the Duchess Effect is in full force today. Kate’s Breton Top, which retails for £48, is already sold out in every size – just like her monochrome Tory Burch dress from Wednesday’s appearance. But if you’re feeling really desperate for a piece of Kate’s New Zealand style, her powder-blue Alexander McQueen coat is still available for £ 2,345.